Over the past three years I have been extremely passionate and motivated about helping others heal from the effects of intense stress leading to adrenal fatigue, burnout and low mood (depressive states). This passion began when Amy was deep into burnout after her first two years building DAMY Health. Through pushing herself day and night to coach her members, create new content and support our family she completely drained her physical resources. She was wiped! She became incredibly fatigued, she didn’t sleep well and her stress was through the roof even though she was more successful than ever. A key element to her lifestyle at the time – large amounts of coffee. 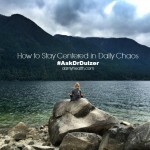 If you relate to her burnout story and are a coffee drinker you know what I’m talking about. You know about the feeling of an afternoon crash, difficulty waking in the morning and frequent anxiety. In this state coffee becomes necessary for function. For Amy it was something she needed first thing in the morning. Amy is not alone. I have been there too and I’m sure many of you have as well. This moment when the desire for coffee becomes a dependency is when we know we are ready for a Coffee Detox. This is when it is beyond the time for change. There is good news! In this article we have a simple 10 Day Coffee Detox that will leave you feeling free of the cravings, dependency and the intense symptom picture of drinking to much coffee. Read on to get started on Day 1 today! 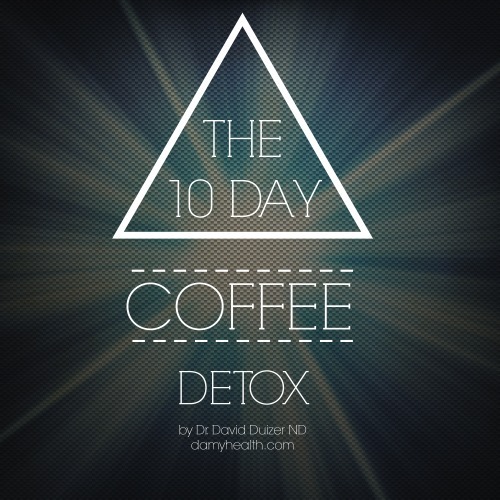 The 10 Day Coffee Detox is a simple act of healing that coffee consumers can do as often as needed. A lot of research shows how coffee isn’t harmful or deadly in the long run buy many of us know how terrible the following symptoms can feel in the short term and how their impact can affect your daily life. If any of these sound like you this coffee detox is going to be essential to regaining balance in your life, taking a stance for self care and beginning to really feel good again. Throughout this coffee detox we are doing a few things. First we start with eliminating coffee and replacing it with substitutes that either give the same cozy sensation while we drink them or have similar physiologic effects (but that are less intense). Next we move on to lifestyle changes – improving diet, sleep and stress reduction. This is followed by vitamin supplementation to support immune and hormone function, herbal supplementation to support our adrenal glands and energy systems and finally creating your ultimate self-care plan so that you can have coffee if you love it but aren’t dependent on having it. The goal being – quit coffee for life if that suits you or build a habit around 1 cup of coffee per day (any more and these symptoms can return). This cleanse can be used in two different ways depending on your specific goals and how you react to the drug that is coffee. If you find that at the end of your cleanse you are feeling better without coffee I highly recommend continuing on your journey without coffee. If you believe that you have broken your dependency and can at the end of this cleanse occasionally and in limited amounts enjoy coffee again see the instructions below. This cleanse is to break your dependency and either realize your body is better completely without it or you can safely consume 1 cup per day without any negative ramifications. There is a difference between someone ready to heal and someone who isn’t. Amy was ready, motivated for change and clear about what she needed to do. 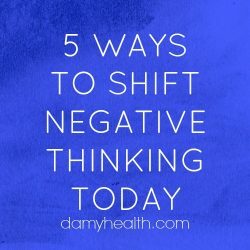 Since you have made it through most of this article you have taken the first step towards achieving your 10 Day Coffee Detox. You are ready. Your time is now. Amy was 100% ready to heal her anxiety in life. She didn’t want to follow in hereditary patterns and was willing to do anything. In that realm quitting coffee was nothing to her. Does this sound like you? If so, you are ready for your 10 days free from coffee. For Amy her passion to heal and feel great became larger than the desire for coffee. It became very easy to be motivated to quit. 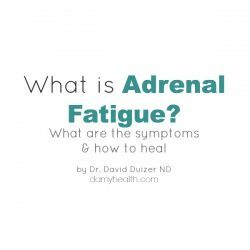 Here’s what else she did – To see Amy’s full Adrenal Fatigue healing protocol go here. 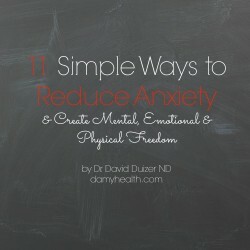 See our guide to reducing anxiety here. Amy quit coffee in one day 3 years ago, experienced detox symptoms for 3 days and has been fine ever since (with no cravings, reduced anxiety and increased energy). This can be you 10 days from now! She used the tips below to achieve her success. Today is your first day! You are ready, willing and excited. You can do this. You are focused and ready to heal. Lets start with choosing the path most suitable to you – complete elimination or periodic reduction. 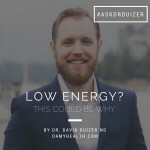 Depending on if you are willing to accept some of the coffee detox reactions associated with complete elimination or not you will have the choice of a slow reduction of your coffee intake with little reaction symptoms or a complete elimination. Yerba Mate – Yerba gives you energy just like coffee does! It tastes good and you feel very similar to how you would after 1 cup of coffee. Chicory Root – Chicory has deep, dark flavors just like coffee. It doesn’t have the caffeine so you may not feel a boost but for those of you who drink coffee for the ritual give this a try. Pu-erh Tea – Pu-erh is in the same realm of chicory except it gives you some energy as well. The taste isn’t great but it can be combined with other teas for flavor (like peppermint). Green Tea – Classic healthy coffee replacement. Gives you a bit of energy and has many other health benefits that coffee doesn’t have. Herbal Tea – Just to have a cup in your hand. There isn’t any caffeine but herbal teas come in all kinds of great flavors. Find one you like and you will be satisfied. Try a few and find which works the best for you. If you use cream, milk or sugar in your coffee — Replace with either almond or coconut milk plus liquid stevia for sweetener. In the phase two of your coffee detox it is time to add in a few simple lifestyle changes that will accelerate your healing. Start by cutting dairy completely and reducing your sugar consumption as much as possible (with completely eliminating refined sugars). Next, if you haven’t already, completely eliminate coffee replacing it with one of the options above (if you drank more than 6 cups per day originally this week you can move down from 3 cups to 1 cup – if you were under 6 cups originally now is the time to quit). Add in supplementation to help with the detox process. Most can benefit from green tea, B vitamins and vitamin C. See your Naturopath for dosages. 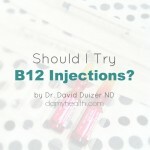 In general a good quality B Complex with 1000mg of Vitamin C per day will be beneficial for most. 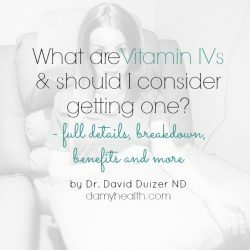 These two supplements can help to keep your energy stable and your immune system functioning at a high level. Begin to eat small meals every 2-3 hours to keep your blood sugar stable. Focus on fruits and vegetables, lean protein, whole grains and nuts and seeds. It is time to focus on the ultimate self-care plan. 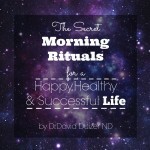 Build your own healthy morning routine with 30 minutes of exercise, meditation, a healthy breakfast and 1L of water. In the evening focus on keeping your stress low using whatever activities help you stay most centered. Now we are able to add in herbal formulations to build the adrenal glands, continue to help reduce stress and keep our energy stable. I recommend adding ginseng (eleuthro), licorice, ashwaganda and rhodiola (all as needed – seek Naturopathic medical advice for specifics) as important components of your detox. Continue to use the coffee replacements above – try switching between options each day to see which suits you best. Work to increase your water intake to 3L per day. You have completed your 10 Day Coffee Detox. Now it is time to create healthy routines around coffee. If you feel better… consider that perhaps eliminating coffee from your life is a beneficial thing. You may never drink coffee again (like Amy going on 3 years!). Or perhaps since you have now broken your dependency on coffee you can occasionally enjoy a cup of coffee without the physical or mental dependency or disturbances. If you are going to bring coffee back into your daily routine I suggest 1 cup per day as the maximum amount to consume. When you are ready and only if you desire to re-start you can now have coffee again. If you must have it make sure to stick to 1 cup in the morning using only stevia or a natural sweetener like maple syrup and almond or coconut milk. Congratulations you have completed your cleanse! Make sure to share your experience in the comments below. 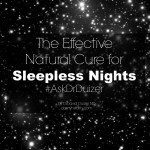 If your symptoms of anxiety, stress, palpitations and/or insomnia have subsided we want to know. Use this cleanse as many times per year as you would like and continue to build control over your coffee habit! 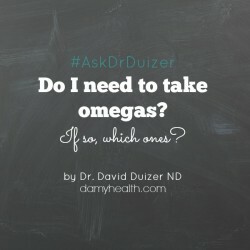 Omega 3 and 6: Do I need to take omegas? If so, which ones?